Last year’s sensational perfume Idylle from Guerlain finally has a whole perfume family. 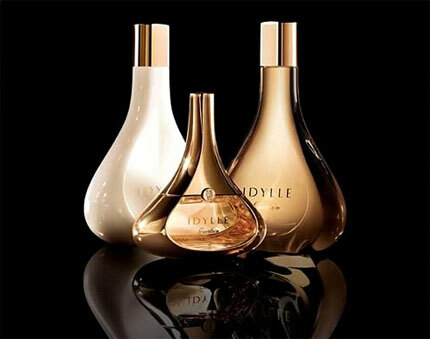 The world will welcome a collection of body products Idylle Body Care Collection from Guerlain in February 2010. This collection of body products will definitely find a spot in every woman’s house who found this new perfume to her liking. The collection will feature shower gel, body milk, body cream, and also deodorant. Those products have exactly the same fragrance composition as Guerlain Idylle. Let’s admit, the composition is a truly divine one! Bulgarian rose, raspberry, lychee, and freesia create the upper notes of the composition. The “heart” of the perfume features floral notes of lily, jasmine, rose, peony, and mountain lily. The base notes include musk and even patchouli. Source of the image: mycharm.ru. 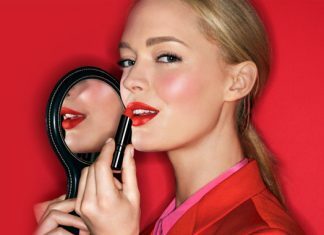 Where to Store Makeup & Cosmetic Products in Summer?